The 2014 MINI Paceman is basically the MINI Countryman but with two doors instead of four. It looks similar to the Countryman in terms of interior and exterior aesthetics and that is a definite plus. Yet the MINI Paceman certainly has its own idiosyncrasies that make it its distinct self. It sits lower to the ground and takes on corners much easier than the Countryman. It is a cool looking, fun to drive two door crossover that is chock full of good times waiting to be had. The 2014 MINI Paceman is sold in three different trims. There's the base level Paceman, a Cooper S Paceman and an extra sporty John Cooper Works Paceman. The vehicle is very safe. Aside from its higher than normal driver's seat (it is an elevated crossover), there's stability control, rear parking sensors, ABS and 7 total airbags. The 2014 MINI Paceman has some improvements. New additions include heated mirrors and washerjets across all trim levels. There's also new interior and exterior options available to drivers who select the upscale and sporty John Cooper Works trim of the MINI Paceman. 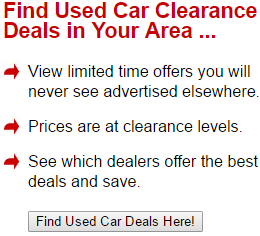 Car shoppers can choose from three different engines. The base MINI Paceman has a four cylinder 1.6 liter engine with 121 horses and 116 foot=pounds of torque. The Cooper S Paceman has a four cylinder 1.6 liter as well. Yet the S gets a boost in power with 181 horses and 177 foot=pounds of torque. The most powerful of the three engine choices is found on the John Cooper Works Paceman that boasts 208 horses. This trim also comes with all wheel drive. The 2014 MINI Paceman has a gigantic center mounted speedometer that is incredibly easy to read. This allows drivers to stay cognizant of their speed levels at all times. Aside from being conveniently viewable, the speedometer also gives the vehicle a bit of an edge and uniqueness that separates MINI Cooper vehicles from the rest of the American pack. 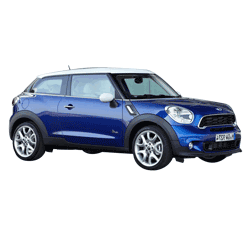 The base MINI Paceman trim attains an excellent fuel economy of 28 miles per gallon in urban environments and 35 miles per gallon on highways when equipped with a manual transmission. These figures lower to 25 / 30, in cities and on highways, respectively, when the vehicle is equipped with an automatic transmission. The Cooper S Paceman achieves 26 miles per gallon in urban environments and 32 miles per gallon on the highway with all wheel drive. The John Cooper Works Paceman trim provides a solid 25 miles per gallon on city roads and 31 miles per gallon on highways when equipped with a manual transmission. When equipped with an automatic, it attains 23 / 30, in cities and on highways, respectively. For a crossover vehicle, these fuel economy figures are well above average. During Edmunds tests, the MINI Paceman went from a standstill to 60 mph in only 7.2 seconds, a quality time for a vehicle of its size. It also performed well on the Edmunds brake test, stopping from 60 mph in only 120 feet. MINI describes the vehicle's back seats as having a “lounge” style environment. Indeed, they are quite roomy as is the entire cabin in general, especially compared to the traditional MINI Cooper hatchback's cabin. The rear seats are bucket style and offer more than enough legroom even for taller than normal adults. The standard 2014 MINI Paceman amenities are plentiful. They include air conditioning, cruise control, power windows, locks and doors, 17 inch alloy wheels, premium leatherette style upholstery, Bluetooth connectivity, a CD player with an auxiliary jack and a USB port. Higher level MINI Pacemans come with niceties like sport seats, turbocharged engines, fog lights, all wheel drive, performance exhaust, a panoramic sunroof, a sport tuned suspension, rain sensing windshield wipers, satellite radio, a MINI connected entertainment center, heated front seats and a navigation system. The price point is very low for all that is offered. The base level MINI Paceman has a starting MSRP of merely $24,300. The 2014 MINI Paceman's base engine is a bit weak compared to some in class competitors. 2. A Rough Turbocharged Ride? Some drivers and riders have complained that the vehicle's ride is a little too rough for their liking. It has been described as “stiff”, “harsh” and “firm”. However, most of these complaints are for MINI Pacemans that are of the turbocharged variety. There is less cargo space compared to many other in class competitors. When the rear seats are folded, there's only 38 cubic feet of cargo space. Most hatchbacks and crossovers have more than 40 cubic feet of space for cargo. All in all, this year's MINI Paceman is an excellent value. Aside from its numerous high tech gadgets, the 2014 MINI Paceman looks uber stylish. It is a trendy vehicle for good reason. People want to be seen driving it because it has a unique exterior that immediately catches the eyes of onlookers. Yet its performance tied in with its incredibly fun driving experience make this year's MINI Paceman one of the best vehicles on the roads.